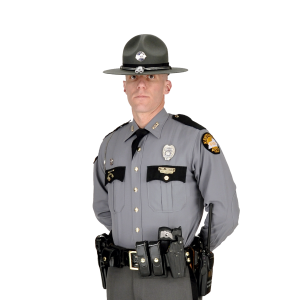 UPDATE– Lawrenceburg, KY. (April 11, 2019) – Late last night, Kentucky State Police Detectives made two more arrests in the robbery and murder investigation in Lawrenceburg Ky. Through thorough investigation, Detectives from Post 12 in Frankfort were able to identify two other suspects involved in the death of Lauryn Kinne and her unborn child. Robert J. Jones, age 20, of Frankfort and Austin Chilton, age 19, of Frankfort were both arrest and charged with Robbery 1st Degree. They have been lodged in the Shelby County Detention Center. The investigation is still on going by Detectives from Kentucky State Police Post 12 in Frankfort. UPDATE– Lawrenceburg, KY. (April 9, 2019) – Kentucky State Police Detectives have made another arrest in the ongoing murder investigation of Lauryn Kinne, in Lawrenceburg Ky.
Derrick J. Morris, age 33, of Frankfort Ky. has been arrested and charged with Murder and Robbery 1st Degree. Derrick Morris has been lodged in the Shelby County Detention Center. Derrick Morris assaulted a male subject during a home invasion located at 307 Saffell Street. Derrick Morris committed the assault by hit the male subject repeatedly with a firearm. At one point the firearm was discharged striking Lauryn Kinne in the chest. The male subject who was assaulted, was also struck by a projectile from the firearm. UPDATE– Lawrenceburg, KY. (April 9, 2019) – Kentucky State Police Detectives have made an arrest in connection with the ongoing investigation in Lawrenceburg Ky.
Johnathan T. Harley, age 20, of Lawrenceburg Ky. was arrested and charged with Robbery 1st Degree. During the investigation Johnathan Harley was interviewed by Kentucky State Police Detectives. Johnathan arrived at 307 Saffell Street minutes prior to the robbery. Johnathan initially denied any knowledge of the robbery plans. He later admitted to taking part in the planning and execution of the robbery. Lawrenceburg, KY. (April 9, 2019) – On Tuesday, April 9, 2019 at approximately 5:30a.m., Lawrenceburg Police Department received a call of a shooting at a residence in Lawrenceburg, Ky. When they arrived on scene they found two gunshot victims. The Lawrenceburg Police Department contacted Kentucky State Police, to investigate the shooting. Lawrenceburg Police Officers responded to a call of a possible home invasion at 307 Saffell Street in Lawrenceburg, Ky. Upon arrival they found a male victim of a gunshot wound, with none life threatening injuries. A pregnant female victim who also suffered a gunshot wound, with life threatening injuries. Both were transported to the Frankfort Regional Medical Center, in Frankfort. The Kentucky State Police was then contacted about conducting the investigation into the shooting. The pregnant female was identified as, Lauryn T. Kinne, age 22, of Lawrenceburg, Ky. Lauryn Kinne and her unborn child later died at the hospital. An autopsy has been scheduled to determine cause of death for Lauryn and her unborn child. The investigation is ongoing by Kentucky State Police Detectives from Post 12 in Frankfort. Anyone with information about the shooting is encouraged to call Kentucky State Police, Post 12 Frankfort at (502)227-2221.